Maddy Staub could tell something was off. 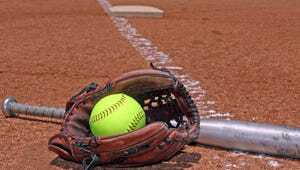 The Susquehannock senior pitcher had faced only four batters in Monday's YAIAA semifinal against Delone Catholic at Spring Grove, and she had walked three of them. After a short meeting in the circle with Warriors head coach Jeff Deardorff, Staub realized the issue was mechanical. "I was out of my pitching circle, instead of (bringing my arm) straight up and around I was going off to the left," Staub said. "I was all out of whack, but I figured it out early, thankfully." Thankfully for the Warriors, Staub had the Squirettes (16-3) figured out for most of the game after that. She struck out six batters and gave up just four hits as Susquehannock (16-3) beat Delone Catholic, 7-2. It was the same final score as the teams' previous matchup on April 4. The Warriors will now play Central York in the YAIAA title game at 5 p.m. Tuesday at New Oxford. The Panthers beat the Warriors already this season, 7-2, on April 25. "We're just glad we get to play Central and have some redemption hopefully," Staub said. "(The Panthers) took advantage of our mistakes last time, but they don't know the real us." If Staub pitches against Central the way she did against Delone, the Warriors will have a shot. After giving up one run on a sac fly in the first inning, the senior allowed just two baserunners the next four innings. Susquehannock led 6-1 after the fifth. Both Deardorff and Delone Catholic head coach Don Smith said Staub's ability to change the speed of her pitches was what made her successful. The Squirettes didn't record their second hit of the game until the sixth inning, and by that point they trailed by five runs. "We warned them to look for the changeup because (Staub) goes to it when she's in trouble but it didn't help," Smith said. "We just didn't hit. The bottom of our lineup did nothing, just like last time (against Susquehannock)." Offensively, Susquehannock was sparked by speedy leadoff hitter Mallory Lebo, who went 2-for-3 with a walk, three stolen bases and one RBI. The Warriors also got clutch RBI hits from second baseman Kristi Langhans and first baseman Ally Kerr, which helped give Susquehannock a 3-1 lead after three innings. Despite losing their first matchup against Central, the Warriors say they're confident they can beat the Division I champs on Tuesday. The Panthers beat Littlestown, 3-2, in their league semifinal matchup on Monday. "Central was kind of our motivation, we wanted a rematch and wanted to play them and we had to get through this game to get to them," Lebo said. "We just locked down on defense, and knocked in runs when we have to." And while the Warriors didn't play their best at the end of the regular season, Deardorff said he believes they're back on track. Susquehannock started the season 11-0 before going 4-3 the last three weeks. "We had a lot of minor injuries, nothing that kept people out of games, but we had sore arms, pulled groin muscles, shin splints," Deardorff said. "I think it hurt us. About half the girls weren't 100 percent, but everybody's feeling good now." The Squirettes will now turn their attention to the District 3 Class AA tournament, which they won last season. "I think the girls are really more interested in districts," Smith said. "This was just an extra game to play, that hopefully we could win. We just didn't play well." Last time: Central York beat Susquehannock, 7-2, on April 25. Follow live: Visit GameTimePA.com for live, multimedia updates on the action.